Most company CEOs and executives are left-brainers; this means that they have a linear way of thinking and going about things. They are analytical, logical, and very structured –often, there’s very little room for creativity. However, in today’s fierce business battleground, CEOs cannot just rely on being structured and logical to secure an edge over the competition and ensure the company’s resilience or longevity in the industry. They are required to become creative thinkers as well because companies that are able to present innovations really have the best chances of rising to greater heights of success. And speaking of creative CEOs serving their businesses incredibly well, most of them credit their ability to think outside of the box to a particular practice, which is guided imagery. So what is guided imagery? Basically, it’s a practice that directs the imagination in positive ways; the beautiful outcome of something that has yet to be done has already been detailed by the mind so the body simply will just need to execute it. It doesn’t matter if it’s a game tactic or the detailed internal workings of the body; the conjured image in the head becomes the main focus and goal to be achieved, which is actually achieved easily through the practice. 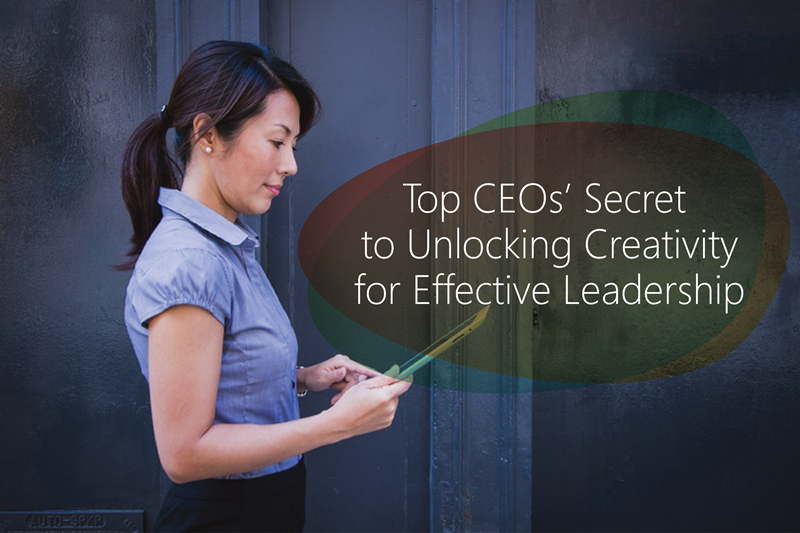 For CEOs, this practice is greatly helpful in unlocking creativity to outwork obstacles that are pretty much presented to them on a regular basis. Guided imagery allows them to think of all possible methods that would lead to the same positive outcome; therefore, should one approach fail, there are still other routes to take, and giving up doesn’t become a quick and easy option for dealing with difficulties. Aside from that vital benefit, guided imagery is also able to provide mental clarity. It’s so easy to be consumed by the great demands of work, but with this practice, you can focus on what’s truly important and regain the structure you need to conquer every single task that you need to accomplish as a leader of an organization. Finally, it can boost overall health; guided imagery has been used as a stress-buster. Everyone knows that stress, which manifests through anxiety and fear, can stifle people’s creativity and turn people into complete ruminators. The practice of guided imagery is able to slow the body down, develop a different perspective for people, and really clear the mind. A person can go from the circular route of worrying constantly and going nowhere, to finding a solution that’s free from traffic—an alternate route leading to the intended destination. If you’re a CEO who is able to effectively deal with the stresses of the job, you not only get to lead confidently, but you also serve as an inspiration—someone your employees can emulate.